District 29 – February 2012 – Lincoln Nebraska A.A. The PO Box does not exist, a notice was sent previously. Treasurer will check to see the cost for obtaining a new PO Box for the District. The treasurer is in the process of obtaining an EIN number which is needed to open up a new checking account. Balance is $286.18, Received $125.00 contribution from Life preservers group, $117.00 contribution from Back to Basics Group. Current DCM still needs to be reimbursed for November and January Area 41 Meeting expenses. Corrections committee is talking with Treatment committee discussing a dual workshop. Hotline received 90 Calls, 73 of those calls were for general information, and 24 calls were not answered. Website had 19,000 hits; this was up from the 14,000 from 2010. 1719 hits from December. 48% of the hits were for meeting lists, 30% for the homepage, and 4% for local events. PI/CPC Continues to work with Independent Center on what AA is and isn’t workshop for professionals. Special events committee has a couple people who have volunteered. Continued discussion regarding the Newcomer Orientation originally started by this district, and they are seeking other groups to volunteer to take this orientation over. District 22 has a Balance of $1,034.44, will be visiting the groups in the district and is discussing making disbursements due to the excessive balance. Central office had a loss of $404.21 they are still looking for 2 alternate board members. GSR Workshop shall be an assigned Service Position within the Area 41 Agenda Committee. A new Literature chare was voted in at Area 41 – Dan W.
2011-03-012 #001, Al H. had a motion to have this taken off the table so it could be withdrawn. This is to allow area 41 to approve to submit a bid to host the 2014 National Archives Convention. Agenda Item: Area 41 accept new boundaries set by districts 3, 21, 22, 29 and 32. District 21: North- “O” ST, South- Lancaster County boundary, West- Lancaster County Boundary, East- S. 17th ST from “O” ST to Van Dorn ST, 27th ST from Van Dorn ST to Saltillo Rd, 25th ST from Saltillo RD to Lancaster County boundary. District 29: North- Lancaster County boundary, South- “O” ST, West- N. 27th ST, East boundary does not change with this item, as this item only addresses boundaries within Lancaster County. District 32: East- Lancaster County boundary, North, South, West boundaries do not change with this item, as this as item only addresses boundaries within Lancaster County. Background: The intent of this item is to create a record of simplified, clear boundaries for Districts in Lancaster County. The proposed boundaries follow the recently adopted Area 41 redistricting guidelines. The only information in the Area 41 past actions book that explains Lancaster County district boundaries are voting items from 1989 (split district 3 into two districts) and 2008 (form a new district around Seward). There are a few maps that have been drawn up for Lancaster County, but on these maps there are large portions of boundaries that do not follow easily identified landmarks such as streets or county lines. The current boundaries make it difficult for incoming DCMs to know exactly who to serve, especially when group locations change frequently. The proposed boundaries were developed as a joint effort among Lancaster County districts. The boundaries were developed so that the overall distribution of groups within districts would not change significantly, so that DCMs would still have a reasonable number of groups to visit, as the AA Service Manual suggests. The new boundaries were also developed so minimal groups would have an actual change in district. If this item is voted on and approved by Area 41, a digital and hard copy map of the new Lancaster County boundaries will be submitted to Area 41, Lincoln Intergroup committee and Central office. Mike ~ attending District meetings and groups seeking financial and physical support for a proposed Grapevine workshop. Discussing that grapevine is ever changing with intentions of delivering subscriptions over other month or going all digital. Mike has Speakers already set up, Charlie S, Ron A. and Ken B for this workshop. Tentative date is May 12, 2012 11:00 am to 4:00 pm at the Center for people in need (Coffee and Tea provided). Needs are funding, dishwashers, setup and clean up. Raffle for items such as 1 year of grape vine. Etc. District 29 tabled this until March. 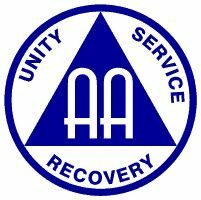 Attending District meetings in attempts to gauge interest in having an AA anniversary party. There are funds still available for this party from previous years. If anyone is interest please contact Robert C.
The group continues to work towards their annual anniversary event which will be the 2nd Monday in March. Dawn S. is the guest speaker. The group is accepting items to raffle during the event. Fellowship starts at 7 and meeting is at 8 pm. We just had a good business meeting and have a newly elected alternate GSR. A lot of new people attending and good core group which is going strong. Not much change with the group, continuing to have 35-40 people in attendance. Next Meeting will be held March 13, 2012 at 28th and “S” streets 2nd floor at 6:30 pm.